Up until the Renaissance, the individual who designed and built a project was one in the same. Late in the Renaissance, a divergence appeared between the designer and the builder ultimately rendering these into separate professions. With the rise of the design professional in the late 19th century, the term “Master Builder” fell out of favor, but it remains the only title befitting a Renaissance man like Greg Abramowitz. As an accomplished Master Builder, Greg has mastered virtually all of the core building trades and has never hired a subcontractor to do a job he is not capable of doing himself. Greg, who has been designing his unique environments since 1979, is an accomplished designer, builder, artist, sculptor, and athlete. In the early 1990s, Greg could be found racing each winter (in equipment he designed) as a speed skier (snow skiing at over 100 m.p.h.) finishing fast enough to claim eighth place in the United States in 1993. Greg raced again in a World Cup in Aspen 2002, and was still running in 12th place in the U.S. at almost 40 years of age. Greg has over 40 years’ experience as a designer and 35 years’ experience in construction and construction management. He has been certified as a construction and commercial arbitrator for over 17 years. In March of 2000, Greg founded an arbitration tribunal dedicated to fair, reasonable, and rapid solutions to construction-related disputes; and thereafter worked with contractors, subcontractors, owners, and attorneys in dispute management and dispute avoidance. His certificate qualifies him to perform arbitration for the Contractors State Licensing Board. Greg is available for private arbitration cases. Visit TrustDMA.com for more information. Greg began his professional experience working as an architectural designer for architectural firms in the Los Angeles area designing numerous commercial and residential projects. His experience includes everything from custom homes to restaurants, hotels, retail stores, and even parts of LAX Airport. 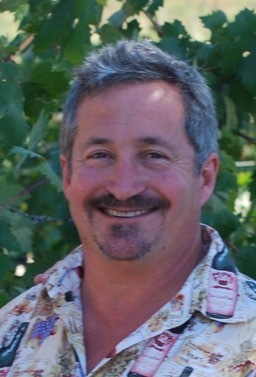 Greg has designed custom homes in El Paso, Texas, Bel Air, California, Mexico City, and all over the South Bay. Raised in Palos Verdes, California. Greg’s work can be seen in Palos Verdes, Beverly Hills, Manhattan Beach, and many other communities. By age 16, Greg was working at an architectural firm and going to college nights studying architecture. He studied architecture at SCIARC (Southern California Institute of Architecture), along with, Arizona State University and Harbor College, also spending time at UCLA and CalState Dominguez Hills. He spent two years designing and installing custom tile & marble spas and swim spas before obtaining his own B1 General Contractor's license in 1986 and later going on to become a certified arbitrator at ICM in 2000. Greg’s early travels exposed him to the customs and architecture of more than 20 countries. His work has been featured on the Home & Garden Network and in an episode of The Discovery Channel’s “Interior Motives” which highlighted a Wine Cellar from the 1998 Pasadena Showcase House of Design designed and built by Greg & his wife Leanne, who passed away in 2002. Greg is a longtime resident of South Redondo Beach. Unique Environments was founded as a design & drafting company by Greg Abramowitz in 1979 while he was in High School and went on to become a Licensed General Contractor #496360 in 1986. Unable to find contractors capable of the high caliber craftsmanship he demanded on the projects he designed, Greg learned, then mastered, the building trades creating a company producing the finest quality design and construction around.